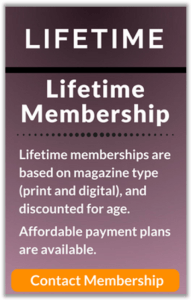 As a subscribing member of the American Numismatic Association, you'll receive access to educational programs, direct submissions to NGC and PMG for grading, free admission to The World's Fair of Money and National Coin & Money Show, and exclusive discounts on hobby publications, supplies, collection insurance and more! 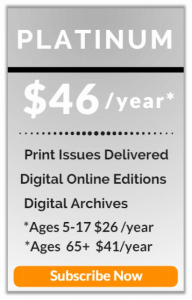 The Numismatist -- The full-color magazine features illustrated articles written by leading numismatic experts covering coins,tokens, medals and paper money…plus hobby events, coinage issues from across the globe, and advertising by respected coin dealers. 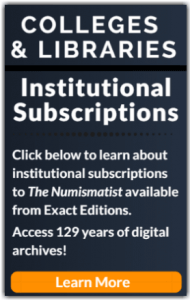 Plus, FREE digital access to all volumes of The Numismatist, from 1888 to the present. 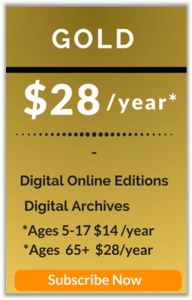 Educational Programs -- Access the best educational programs in the hobby -- seminars, lectures, correspondence courses -- and reference materials from the largest numismatic lending library in the world. Free NGC and PMG Membership -- NGC and PMG serve as the official coin and paper money grading services of the American Numismatic Association. Free memberships to NGC and PMG allow ANA members to submit U.S. coins, tokens, medals, world coins and notes directly to these organizations for grading. Free Admission -- ANA members get free admission to The World's Fair of Money and The National Coin & Money Show; the biggest and most educational coin shows in the country. Admission to the Edward C. Rochette Money Museum, located at ANA headquarters in Colorado Springs, CO, is also free to members.